• At Gallup, Ogilvy conducted research for Hollywood studios for four years. • He worked in Washington, D.C. for the British Intelligence Service during World War II. • After a stint as a tobacco farmer in Lancaster County, Pennsylvania, he returned to New York in 1948 to found Hewitt, Ogilvy, Benson & Mather, a Madison Avenue advertising company. • Ogilvy won new clients by proving his worth with existing clients and using research to motivate customers to purchase products. • Ogilvy’s client list included companies that produced some of the biggest mass-market products of the day – Shell, Lever Brothers, Campbell Soup, General Foods and Bristol-Myers. • David Ogilvy became a leader in the creative aspects of advertising techniques and an authority on “corporate culture.” He was one of the first to stress the importance of focusing on a product’s brand. • Ogilvy retained a fiercely loyal staff and he believed in hiring the best employees. • In 1963, David Ogilvy’s bestselling book "Confessions of an Advertising Man" established him as one of the authoritative voices of advertising techniques at the time. What can we learn from David Ogilvy? 1. 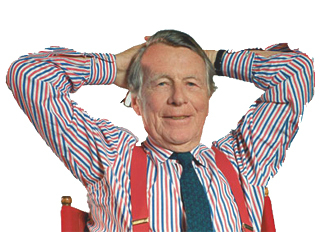 David Ogilvy’s advertising techniques philosophy revolved around his “Big Idea” concept. He encouraged each copywriter to lead with a strong headline in large type to attract the attention of a reader to continue reading the advertisement and to provide consumers with plain information about the product. 2. Each copywriter should conduct research regarding whom the targeted audience is, how the audience thinks, and what the needs of the targeted audience are. 3. David Ogilvy’s “secret weapon” of selling was direct response advertising. This promotional method encourages a prospective customer to respond immediately and directly to the advertiser. 4. To encourage customers to make a purchase, it is important for the copywriter to provide information as to how a product will help improve a consumer’s lifestyle and to verbally describe the product in a way that will effectively close the sale. 5. David Ogilvy nurtured each of his campaigns and helped develop each one to produce some of the best-selling campaigns in the history of advertising. He and his staff spent weeks creating the headline and months writing the rest of the copy.